Leather knife sheaths. Handmade with English bridle leather. 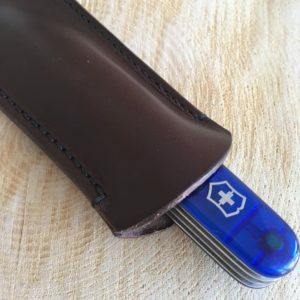 Handmade leather Swiss Army Knife pouch.